Preacher Season-Finale Recap: Hell on Earth At the end of a wild season, Preacher finally sides with the sinners. Preacher Recap: The Quality of Mercy “Finish the Song” sets the stage for an epic finale. 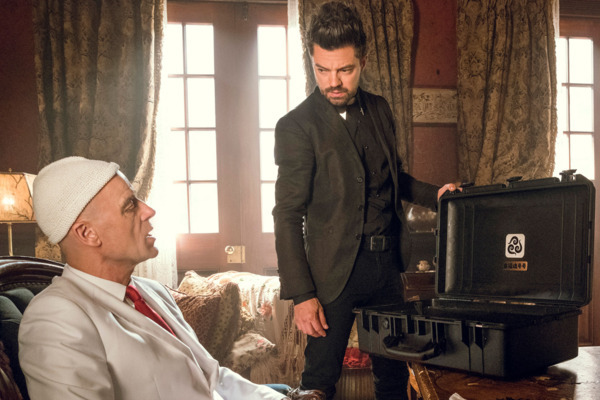 Preacher Recap: Custer’s Last Stand We finally get an origin story for Preacher’s big bad. 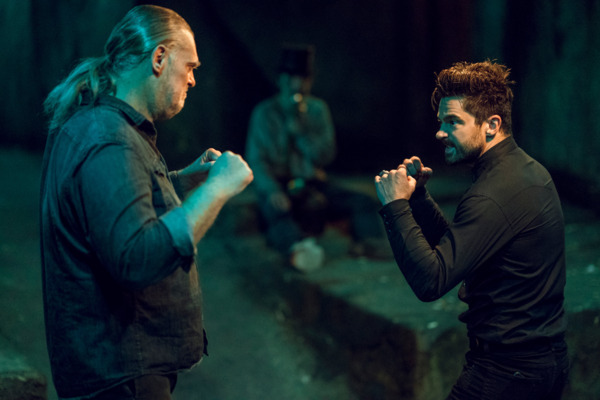 Preacher Recap: Sins of the Father Would Preacher be a better show if Jesse Custer were a villain? Preacher Recap: Angels in America Jesse’s black-and-white worldview makes him the least interesting character on Preacher. Preacher Recap: The Sins of the Father Annville, Texas, is a wretched, miserable place. Preacher Recap: Do As I Say, Not As I Do How long will Preacher keep spinning its wheels? Preacher Series Premiere Recap: Genesis If you’re walking into this show blind, prepare to be shocked. Preacher Recap: When the Saint Goes Marching In The Hell plotline finally crashes into New Orleans. Preacher Recap: What If God Was One of Us? Jesse’s search for God is a real shaggy-dog story. Preacher Recap: Good Lord Jesse learns that Jesus Christ has a dirty secret. 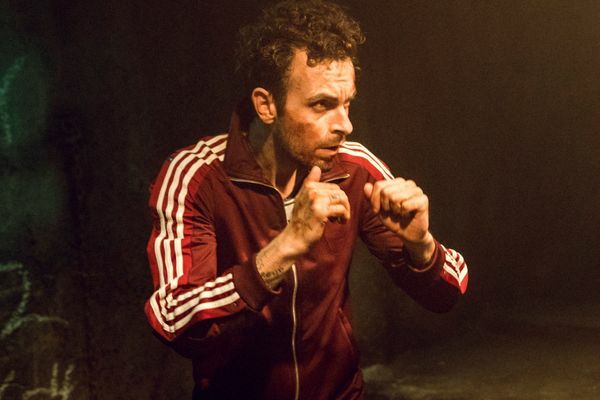 Preacher Recap: Attack the Block This is as dour and unenlightening as Preacher gets. Preacher Recap: Bite Me Hell seems like a pretty bad place, huh? Preacher Recap: When Pigs Fly This Herr Starr guy is going to be a very formidable opponent. 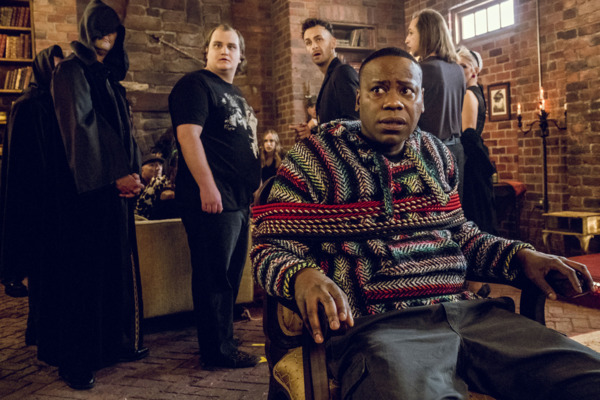 Preacher Recap: Soul Man “Sokosha” is the season’s finest episode to date. Preacher Recap: Don’t Mess With Texas “Dallas” is the weakest episode of the season so far. Preacher Recap: Hell Is Other People Let’s talk about Adolf Hitler’s role on this show. Preacher Recap: All That Jazz “Damsels” is a banger of an episode. 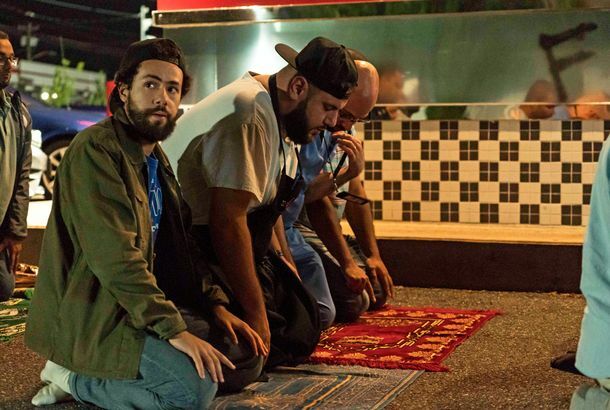 Preacher Recap: A Roll of the Dice “Mumbai Sky Tower” is giddy, bloody fun. Preacher Season-Premiere Recap: Highway to Hell Jesse, Tulip, and Cassidy finally hit the road. Preacher Recap: Rest in Pieces A busy season ends with major changes and a cliffhanger it leaves for future seasons to resolve. 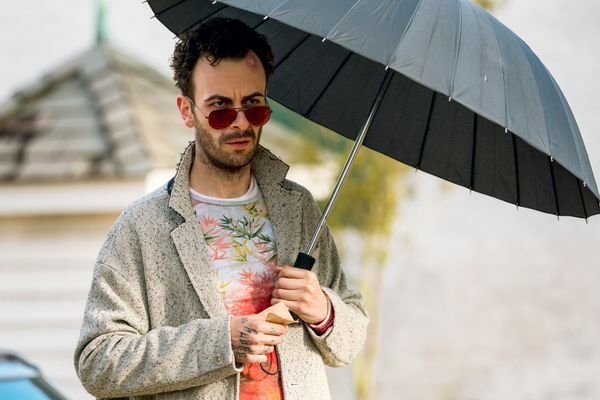 Preacher Recap: I’d Rather Be Sad The season’s penultimate episode finds Jesse taking on the Allfather, Tulip getting her cover blown, and Cassidy making a hard choice. 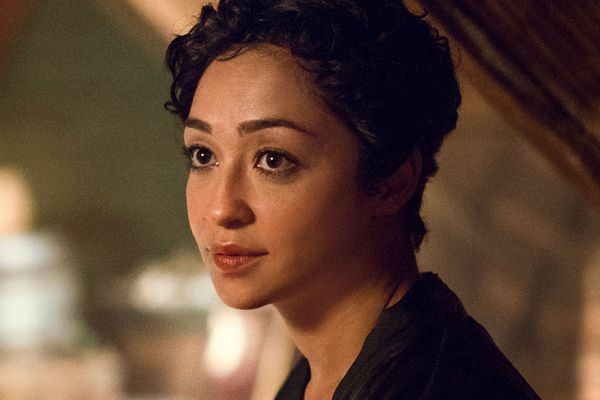 Preacher Recap: A Deal With the Devil The devil comes a’callin’ as tension between Tulip and Featherstone increases. 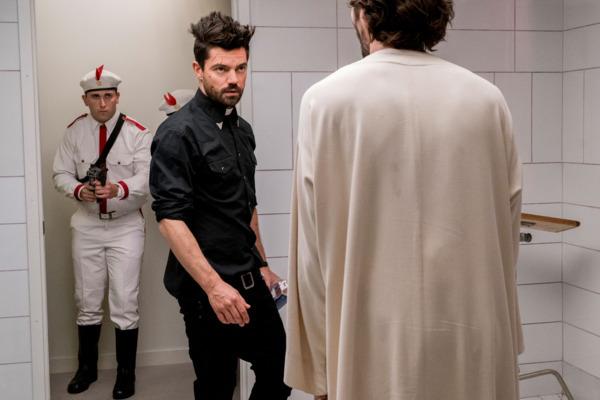 Preacher Recap: Holy Motors Eccarius and Cassidy’s relationship grows complicated as Hitler reveals his true self in the season’s best-yet episode. Preacher Recap: What We Do in the Shadows Arseface resurfaces while Jesse and Tulip go hunting for souls. Preacher Recap: Swamp Pulp Fiction Tulip fights for her soul as Cassidy meets some troubling vampire enthusiasts. Preacher Recap: Jesse Breaks Bad Cassidy makes a big decision while the Devil tries to cut a deal. 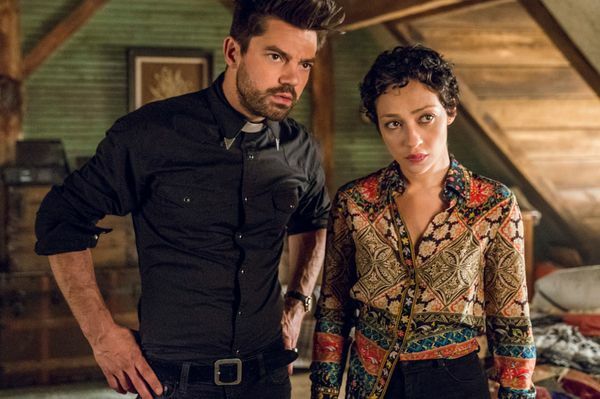 Preacher Recap: Tulip Fever Tulip talks to God, and it’s not a pleasant conversation, and we learn a little more Custer family history in one of season three’s funniest episodes. Preacher Recap: Custer’s Crossing Jesse wrestles with the past as he attempts to regain his soul. 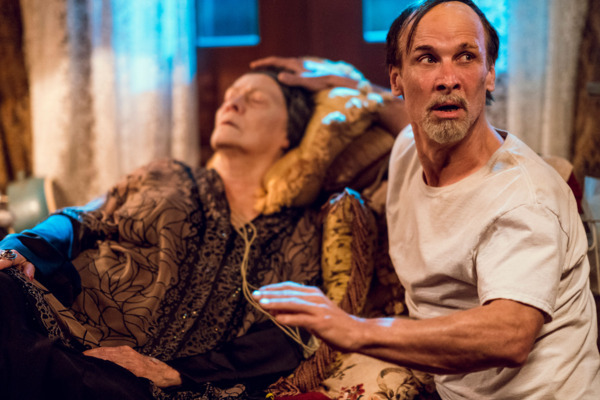 Preacher Recap: Grandmommy Dearest It’s a scary homecoming when Jesse reunites with his Gran’ma. Elsewhere, Tulip spends a little time in purgatory.